The waves crest in and out, gray and blue, as the sun rises over the expanse of dawn-rose sand. 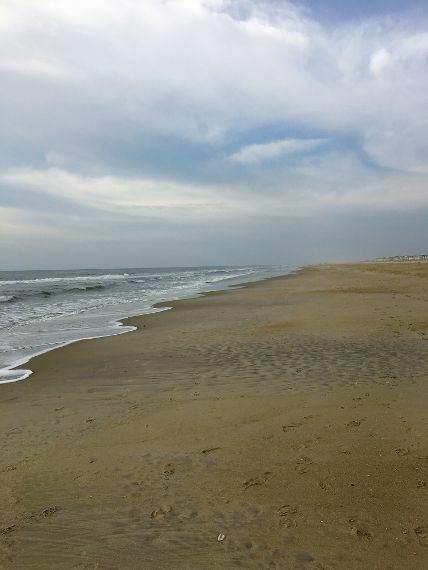 In the NJ beach city I’m visiting, the sandy stretch is long and wide thanks to the humungous efforts of the state to save and preserve its beaches. 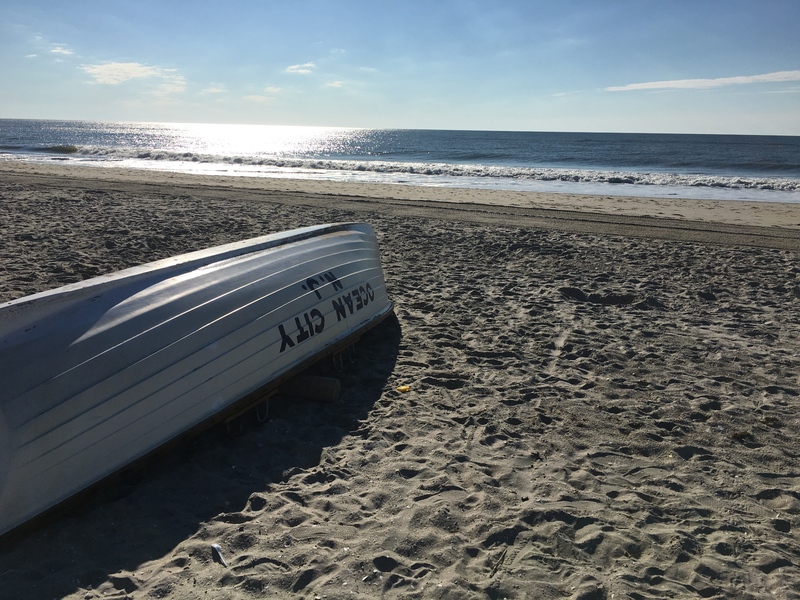 But of course that’s not what I’m concentrating on as I walk a mesmerizing pace past one empty lifeguard stand to another, each one symbolizing the length of two blocks. The day is hazy and warm. 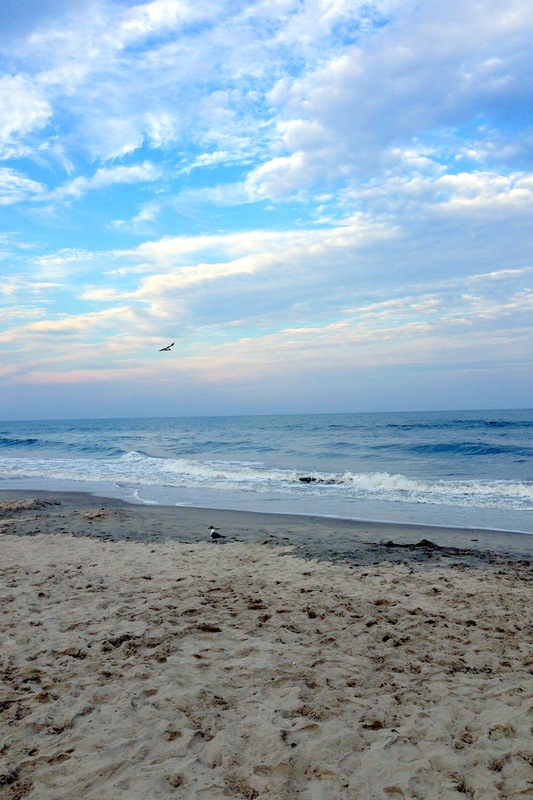 The Atlantic Ocean sparkles a silvery grey while I bike on the Boards in mid-morning bliss. 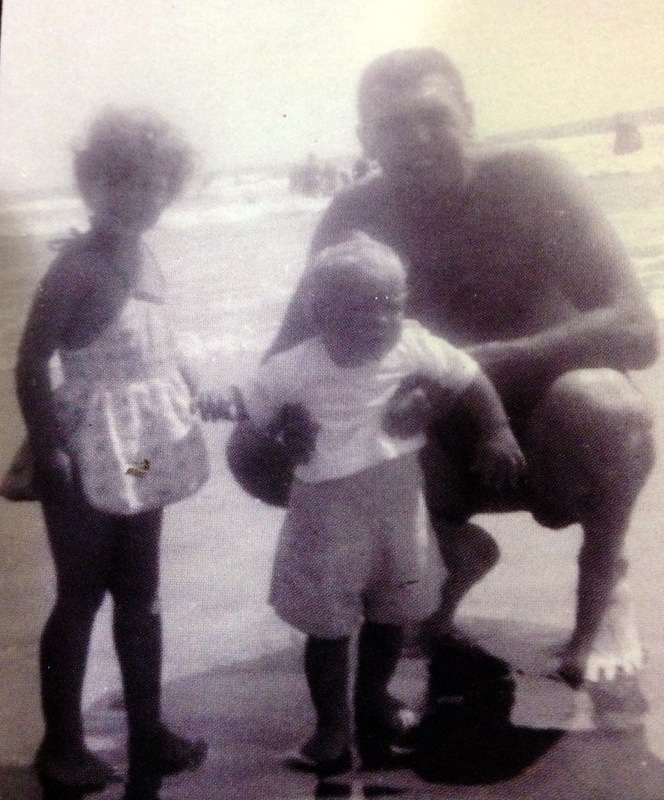 My brother and I with our dad at the beach.